Ring News 24Boxing News Breaking Boxing NewsWho could Andre Ward Face If He Returns to Boxing? Who could Andre Ward Face If He Returns to Boxing? Anyone slightly familiar with the Hall-of-Fame career of two-division world champion Andre Ward will surely be able to something to say about the Oakland-born champion. Ward, whether you love him or despite him, seems to be one of the most talked-about figures in the sport of boxing. Some people admire everything that Ward has accomplished, from capturing a gold medal at the 2004 Olympics to his run in the Super Six tournament, to his incredible blend of skills, toughness, technique and guile. Others are not nearly as impressed, however, as point to a style that they feel is very boring and a personality they don’t seem to connect with. Life moves on for Ward either way and it’s interesting to note that he is still one of the most-discussed fighters in the sport despite having announced his retirement last year. 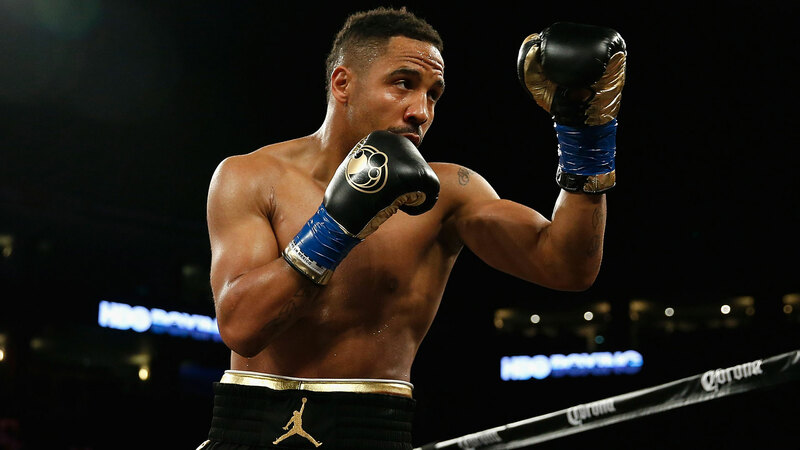 Ward’s retirement came on the heels of a pair of victories over reigning WBO light heavyweight champion Sergey Kovalev, who he defeated in a pair of fights in Las Vegas, first via razor-thin unanimous decision and the second time via 8th round TKO. And now, Ward has once again ignited the public’s interest after taking to his social media handles late last month to update his followers with some news. “Weighed in last night at 199 lbs. All [muscle],” Ward stated, giving fans a teaser of what’s been going on behind the scenes. “We’re working on something special,” the 33-year old champion would follow up. Obviously Ward is hinting at either a return to the crusierweight ranks or possibly facing a big name at heavyweight. But what are the realistic options? Actually, if you really look at it, there are plenty. For one, following his defeat of Kovalev, Ward hinted at a possible run up to the heavyweight ranks to face off with reigning IBF/WBA champion Anthony Joshua. Ward’s suggestion was met with skepticism, but to really know him, he certainly would be up for that challenge. Joshua stand at 6’6” and is an imposing figure. AJ defends his titles against WBO champion Joseph Parker in late March and there are those in the sport who are clamoring for him and WBC champion Deontay Wilder to face off. If no Joshua, than perhaps Ward is looking at the winner of the World Boxing Super Series, which has been staging a terrific worldwide tournament in both the super middleweight and cruiserweight ranks. This past weekend, IBF/WBA champion Murat Gassiev stopped former champion Yunier Dorticos in the 12th round to pave the way for a showdown with the division’s WBO/WBC champion Oleksandr Usyk. The two men will meet on May 11 to settle who the division’s ruler is, and you have to think that Ward is possibly licking his chops just thinking about facing the winner. What you have to give Ward credit for throughout his career is the mental toughness he has shown and the understanding of how important each fight is. He carried his weight very well up to 175 pounds, but the monsters at cruiserweight and heavyweight are a diffferent tale. It’s definitely fascinating to consider Ward against some of the big guys, but we will have to be patient and wait things out. 2018 is definitely going to be interesting.